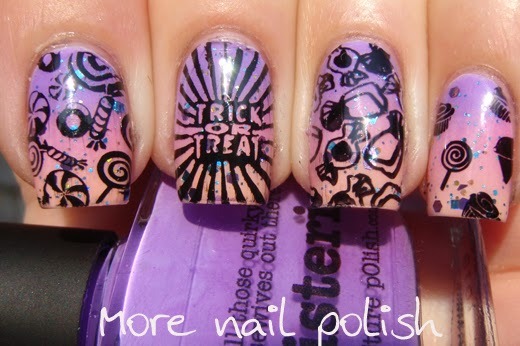 It's the day before Halloween, and I've finally created some Halloween themed nail art. 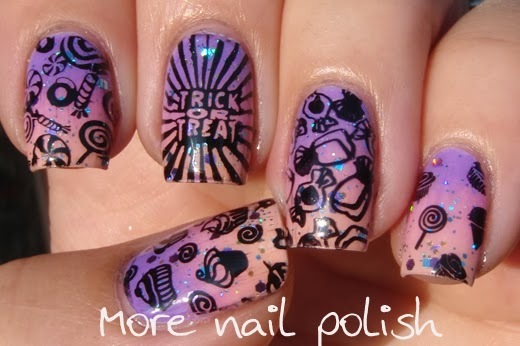 Being the non-scary-movie-and-gross-things kind of gal that I am, I created these sickly sweet trick or treat nails. I did a gradient using Picture Polish wisteria, candy and peaches n cream. 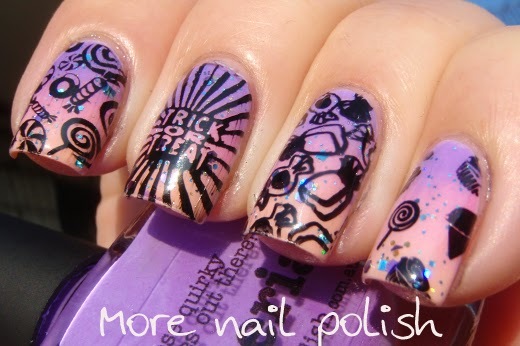 For added sparkle I then added a layer of Penelope Luz Mistica, which has holographic pink, blue and purple glitters. 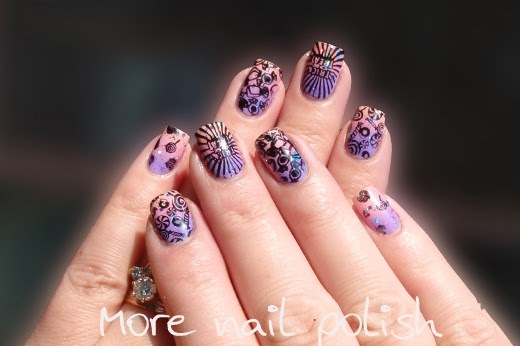 I then stamped using black polish and a bunch of different brand stamps. 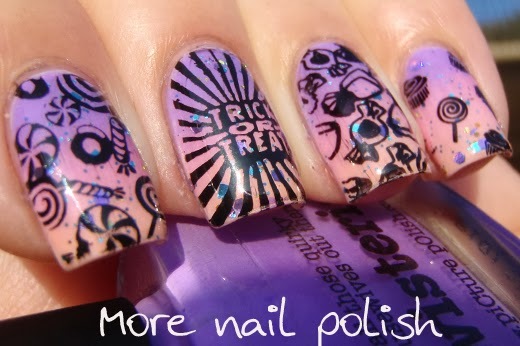 I loved this, it was such a pretty Halloween mani rather than dripping or splattered blood, ghosts, ghouls or other ghastly things.